Crucial set of dubs from Scientist! 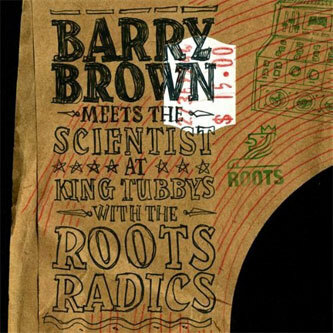 'Barry Brown Meets The Scientist' features twelve extra-heavy Scientist mixes of Barry Brown tracks originally cut and played at King Tubby's by the legendary Roots Radics. We get six vocal mixes and a further six dubs, where the peerless Scientist really cuts loose on the mixing board, nudging the EQ's and royally dubbing Brown outta sight!